I'll be back at 19:15 for live coverage of this evening's Scottish Premiership fixtures. Please join me then by clicking this link. And there will also be news of that pitch inspection at Fir Park. We'll have reaction to the match at New Douglas Park on the BBC Sport website later. What does it mean for the table? Well, Inverness move up to sixth in the Scottish Premiership. However, they could drop back into the bottom half of the table if Partick Thistle win away to Aberdeen later this evening. Hamilton are ninth and could slip to tenth if Motherwell beat St Johnstone tonight. However, that game at Fir Park may be in doubt due to rain. A quite incredible finish to the match at New Douglas Park with Inverness eventually getting the win in stoppage time after Hamilton had drawn level in the 90th minute. A stunning Liam Polworth strike gives Inverness the lead yet again. A second for Polworth today. Not long left at New Douglas Park. 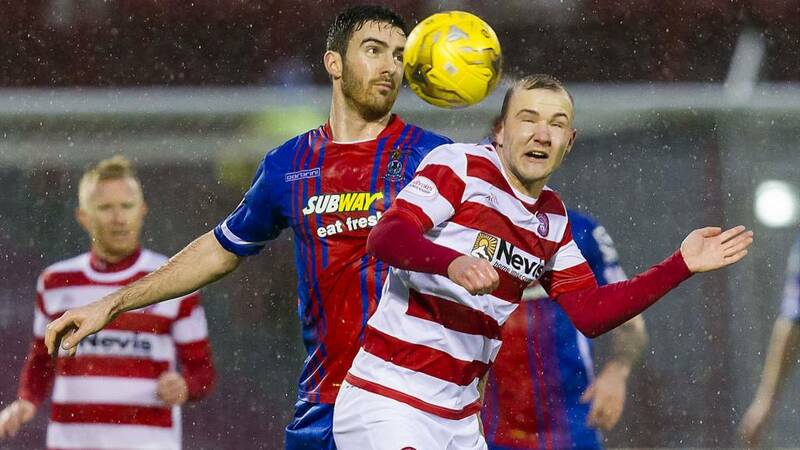 Hamilton's Dougie Imrie makes way for Danny Redmond. But wait, Hamilton are level again as Christian Nade gets his head to a cross to put the hosts back on terms. Greg Tansey does it again with his second free-kick goal of the day. The midfielder fired into the top-left corner. Danny Williams replaces Nat Wedderburn for Inverness. Hamilton's Dougie Imrie is the latest player to go into the book for a clumsy foul. Referee Crawford Allan is due at Fir Park at 17:00 to have a look at the pitch after heavy rain in Lanarkshire today. Inverness surrender a two-goal lead for the second match running as Ziggy Gordon heads home his first goal of the season to draw Hamilton level. That's how BBC Radio Scotland commentator Liam McLeod described the Inverness defence after they struggle to deal with another Hamilton attack. Dougie Imrie digs out a cross and Hamilton team-mate Carlton Morris heads narrowly wide of the Inverness goal. Another change for Accies. Christian Nade takes over from Eamonn Brophy. Motherwell's match against St Johnstone this evening may now be in doubt. Inverness surrendered a two-goal lead to draw with Aberdeen at the weekend and they will be desperate to avoid a repeat today.